The Scenic City, aka Chattanooga, is the fourth-largest city in Tennessee; has the world’s longest pedestrian bridge; is the birthplace of the MoonPie; and was home to the first world’s first franchised Coca-Cola bottling plant. Ok, now where are you going to eat and drink? We’ve got that covered with our 24-Hour Guide. "I come here for a chai or espresso. They roast their own beans and keep everything super fresh, plus they have wonderful service. There is an art to roasting coffee where you get the caramelization, but you don’t burn it and they have never burnt the coffee. It makes the balance of sweetness and acidity really nice." "Their Nitro Cold Press is killer!" Hearty American breakfast served all day, eggs, biscuits, pancakes, cereals, soups, sandwiches and baked goods. "This is a great place for breakfast." "During the week I come here for breakfast. Best service and great prices." "If I am awake, I come to Bluegrass Grill for breakfast. Let Greg handle it." The largest producer-only public market in the region. Fresh, locally-grown produce, plus breads, and arts & crafts. "The Sunday farmers market is one of the best in the country and is the place to be for all things cool and culinary. There are great local farmers, ranchers, and producers all in one spot, and it’s a social scene as well. I go as many Sunday mornings as I can to buy for the restaurant and for my family. You can have a locally brewed beer and browse for produce." Grower-only market featuring regional, small-family farmers. "This is basically the organic farmer market and it is very good." "This is what I believe to be a true Farmer's Market." Modeled after the Mississippi juke joints, they call themselves a blues bar serving bird and brews. Everything is battered and fried to order. They serve fried chicken, smoked sausage, catfish, Southern sides and key lime pie and Mississippi mud pie for desert. "This is old school, loosen your belt buckle kind of food. They make fried chicken to order and have with a great beer program, specializing in 40 ounce beer. They do one of most ridiculously savory apps which is smoked sausage, pickles and white cheddar cheese with spicy stuff like cayenne and paprika and salt sprinkled all over and crackers. You just can’t stop eating it." "Get the combo 40s and fowl." Jorge Parra and his mother Maria started by operating a food truck at the Chattanooga Market. They serve the regional cuisine of Jalisco, which specializes in tortas. They have two locations. "They make really authentic Mexican food and their tacos are all great across the board." "For lunch, I enjoy coming here. If you want authentic Mexican food, this is the place to come to." Originally opened in 1999 by Marshall Brock of the Brock Candy Company. It has since been sold to Rock City. 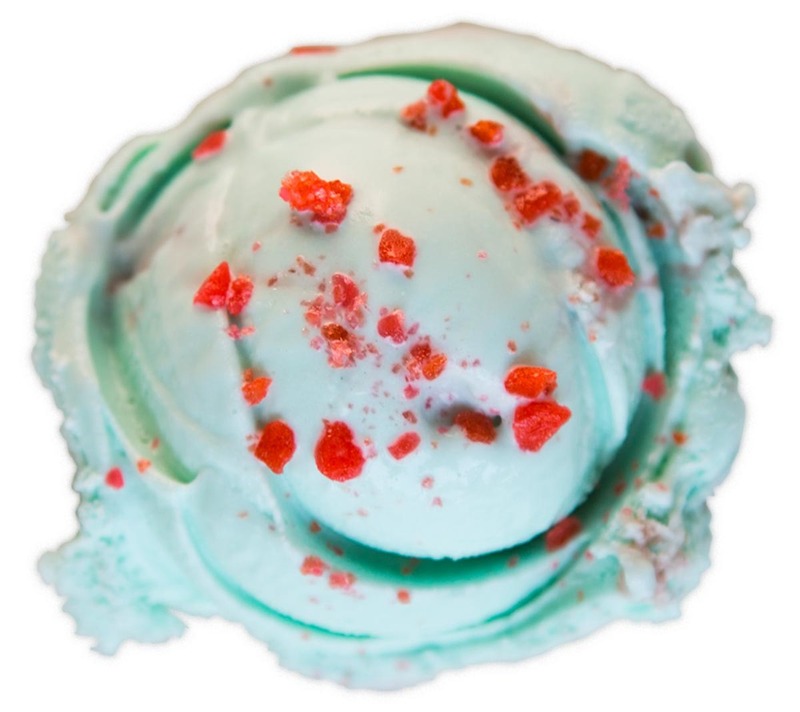 Expect unique flavors like Animal Cracker, Banana Cream, Cape Cod Cantaloupe, Cow Pie, Grasshopper and Hot Cocoa ice cream filled with marshmallows. "For a mid-day ice cream cone. I am partial to the Key Lime Pie. 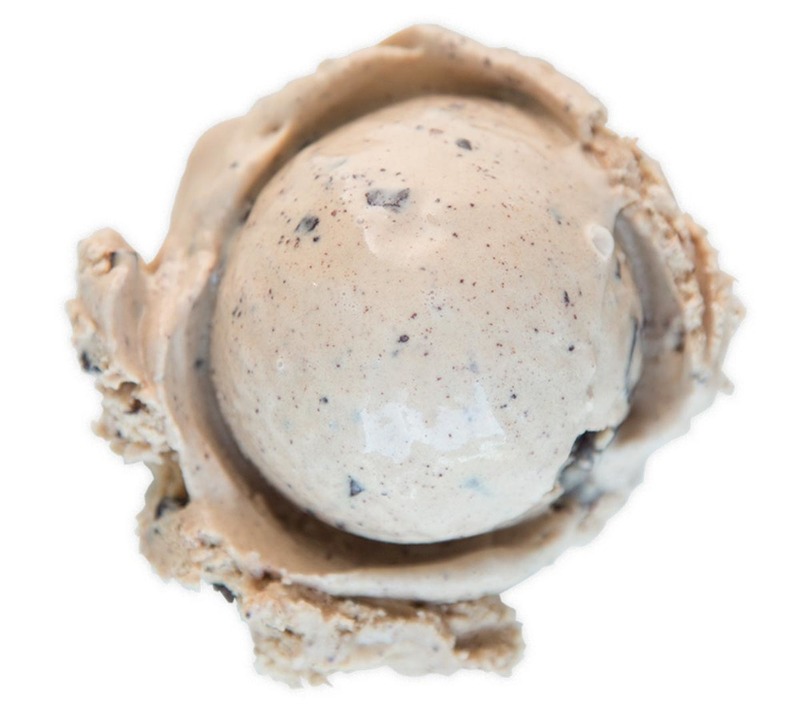 And then the chocolate chip is great because they use stracciatella. It has tiny flakes of chocolate that they mix in when the ice cream is freezing at the very end. It crumbles and it becomes this really cool chocolate chip." Wendy and Brandon Buckner are making small batches of fresh artisan chocolates and pastries using premium ingredients. "Making some of the best chocolates I've ever had." "They’ve been made in Chattanooga since the early 1900s." Drive a half-hour out of town to visit this dairy farm with award-wining artisan cheeses that are sold at select cheese shops from Brooklyn to New Orleans and at the local farmers market in Chattanooga. "I love their Shakerag Blue cheese which uses Crabtree Farm's fig leaves." Located in the heart of downtown Chattanooga, across from the historic Chattanooga Choo Choo, visit where the magic happens at this Tennessee Stillhouse micro-distillery. They have a tasting room where you can saddle up to the bar. Cocktails, draft craft beer and small bites like tacos, crostini, confit duck leg, pork loin, cheeses and charcuterie. For a beer and a bite – ceviche, duck tacos and fried quail. They have incredible architecture and great style, it's really gorgeous. It is a beer bar for the most part, but they have really good cocktails." Located in the center of the city, chef Erik Niel specializes in seafood and bistro food with a Southern twist. This is also a great place for cocktails. "Chef Erik Neil is obsessed with quality and fantastic ingredients. Order Soup and Braised Lamb Neck. Also fifty cent oysters every Thursday. To drink I'll get the Dirty martinis. Ask for the tasting menu." "Chef Erik Neil has a great talent with food and bringing locally grown produce to his dishes. He is very passionate about all things beverage and that shows in his extensive wine list. When I want to try a hidden gem on his list, I look to him for a recommendation." "Check out Easy Bistro for Cocktails, or just a shot of Fernet." Chef Rebecca Barron focuses on local and seasonal cuisine. They also have a more casual sister restaurant next door called The Meeting Place. "I love their poached lobster & frisée salad. I come to the bar here for cocktails and wine. They have exceptional service and wonderful cuisine and drinks." Chef Rebecca Barron explores more international flavors at this sister and neighbor to St John's restaurant. "I come here for the BLT sandwich." " Hands down my favorite spot to chill and eat great food." Owner Nathan Lindley calls his restaurant a public house to combine the feelings of a pub along with a neighborhood restaurant. The menu features some Southern specialties and classic American dishes. "Come here to enjoy pimento cheese and fried pickles." They've been serving American diner food like burgers, onion rings and fried shrimp since they opened in 1941. Cash only. "The fried chicken livers here are a must-try delicacy." Dive bar vibe with a respectable sandwich menu and craft beers. "Come here for their sandwiches and try the Seoulful, which is Korean BBQ with slow cooked pork shoulder." "Let's face it, I like dive bars. You can find me at The Pickle Barrel. Orange Bombs, and Bourbon!" Located in the heart of downtown Chattanooga, across from the historic Chattanooga Choo Choo, this is chef Rebecca Barron's favorite whiskey. A local soda company using only organic products and recommended by chef Erik Niel, "They make a honey Lime soda that is my go-to. It is fresh and really refreshing." Executive chef and owner of Easy Bistro and Bar in Chattanooga, TN. Originally from Louisiana, he taps into his deep Southern roots for his Southern-inspired French bistro. 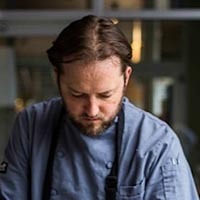 Executive chef of St. John's Restaurant and Meeting Place in Chattanooga, TN. Originally from the area, she first joined the company as chef de cuisine. Sommelier and manager for St. John's Restaurant in Chattanooga, TN. She is certified Level Two by the Court of Master Sommeliers. Executive chef of The Flying Squirrel restaurant in Chattanooga, TN. Originally from San Francisco, he worked in Tampa, FL before moving to Tennessee.